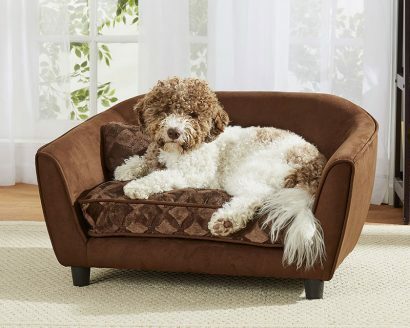 Meet Lucky, a 6 pound Yorkie, who is super comfortable on this Snuggle Sofa with its soft and cozy abstract patterned fabric. 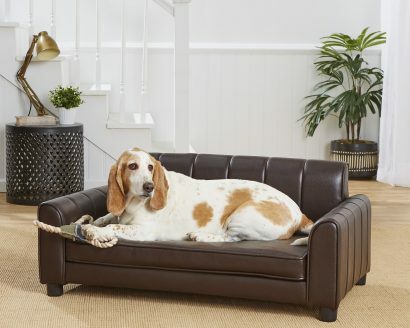 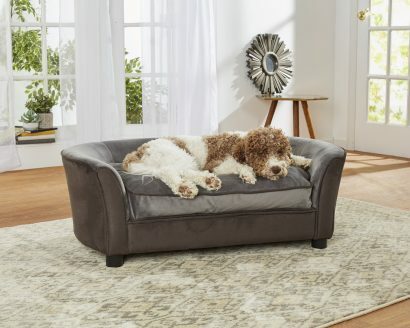 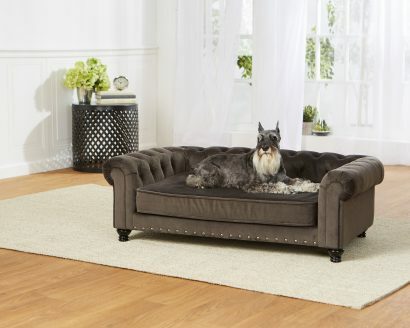 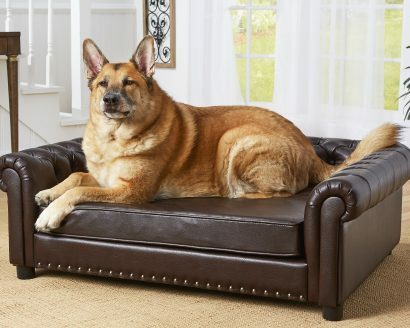 This sofa fits the bill for pets who love to curl up and snuggle while lounging. 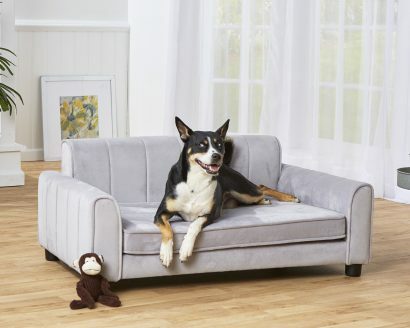 The seat cushion features two toggle and loop closures, which prevent the cushion from sliding, plus a removable and washable cover, while the rest of the sofa is easy to spot clean. 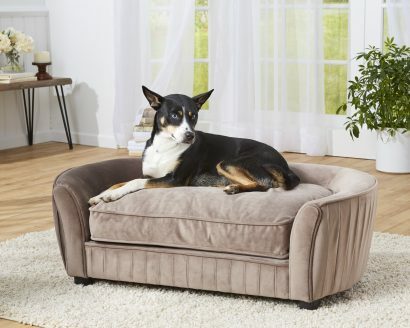 It also boasts a storage pocket for toys and bones. 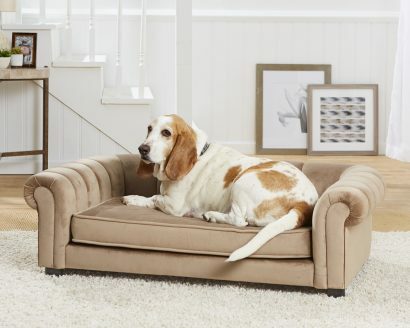 The sofa is elevated on 2” legs for draft-free sleeping.